discord between the regulation and the reality. Answers to: What, When & How? What’s next following Entry Into Force? When is the deadline to Comply with regulations? 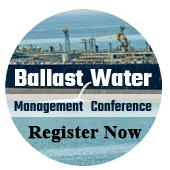 How to Plan BWMS integration & Prevent operational failures? How will type approval affect the deadlines for compliance? What current options are available for the ship-owners? How are suppliers going to guarantee the systems meet requirements for both IMO & UGSC?